May 17, 2017: Javier Grajeda may be familiar to you because he’s a very talented actor who shows up regularly on TV and in films. 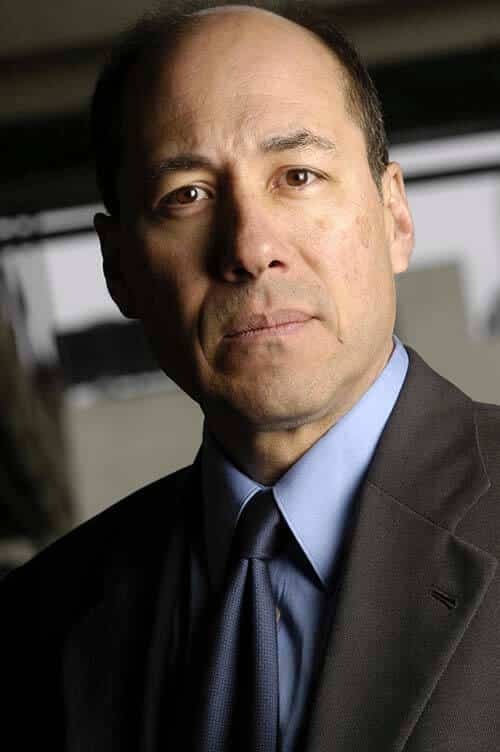 Javier received both a BA and MFA in Theatre Arts at the University of Southern California where he studied under the tutelage of such luminaries as Mary Carver, Stephen Book and the legendary Oscar winning actor/producer, John Houseman. Not long after leaving USC he earned his SAG card while working on Francis Ford Coppola’s “One From the Heart.” That afforded him the the chance to work with such great actors as Raul Julia, Teri Garr, Frederic Forrest, Nastasia Kinski, Harry Dean Stanton, and Lanie Kazan. Among Javier’s accomplishments, he performed in the National tour of the musical “Lunch” as well as with the world famous Long Beach Opera company and the Bilingual Foundation of the Arts, under the leadership of Carmen Zapata. Additionally, he honed his comedy chops in improv and sketch comedy at the Acme Theater in Hollywood where he also developed his writing skills. Javier has performed stand up comedy at the world famous Comedy Store and the Improv in Hollywood. ​You may have seen Javier on TV Guest Starring on such popular TV shows as "Star Trek: Voyager", CSI Miami, NCIS, Grey’s Anatomy, Halt and Catch Fire, Alias, and Mind Games. On the big screen he’s tackled roles in the Matthew McConaughey crime drama "The Lincoln Lawyer" and the dramatic adaptation "The Rum Diary" starring Johnny Depp. But the project that has brought him the most recognition came when he landed the role of drug lord, Juan Bolsa, on Vince Gilliagan’s hit AMC show, Breaking Bad, where he got to order the beheading of Danny Trejo. He’s come full circle by reprising the very same role in Better Call Saul. May 17, 2017: Javier Grajeda may be familiar to you because he’s a very talented actor who shows up regularly on TV and in films. Javier received both a BA and MFA in Theatre Arts at the University of Southern California where he studied under the tutelage of such luminaries as Mary Carver, Stephen Book and the legendary Oscar winning actor/producer, John Houseman. Not long after leaving USC he earned his SAG card while working on Francis Ford Coppola’s “One From the Heart.” That afforded him the the chance to work with such great actors as Raul Julia, Teri Garr, Frederic Forrest, Nastasia Kinski, Harry Dean Stanton, and Lanie Kazan.